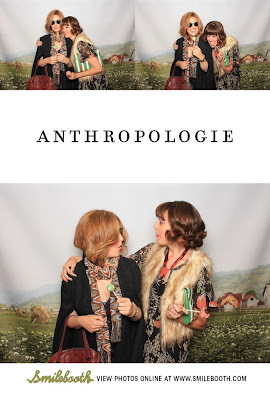 Last week anthropologie hosted what might have been the world's most darling blogger event since bloggers started blogging. Turns out it's just as fun to have hair, makeup and wardrobe pampering in semi-public settings as it is in your own home! They let us try on clothes from the fall line - and treated us to full shoulders-up spiffing sessions. I have that same J.Crew shirt that the makeup artist is wearing, but am boring and wear it with a blazer. It looks ridiculously great with a leopard print turban and tie die skirt - much, much better. These teats from New York Cake Pops were beautiful and maybe the best bites of cake I've ever consumed. The event that keeps on giving: My hair (which has been blondish for about a month now) was so big and amazing, I almost cried when I had to wash it on day three. This is day two - the best of the days. And here we are in the Smilebooth acting like goofs. Nice tongue, Port! 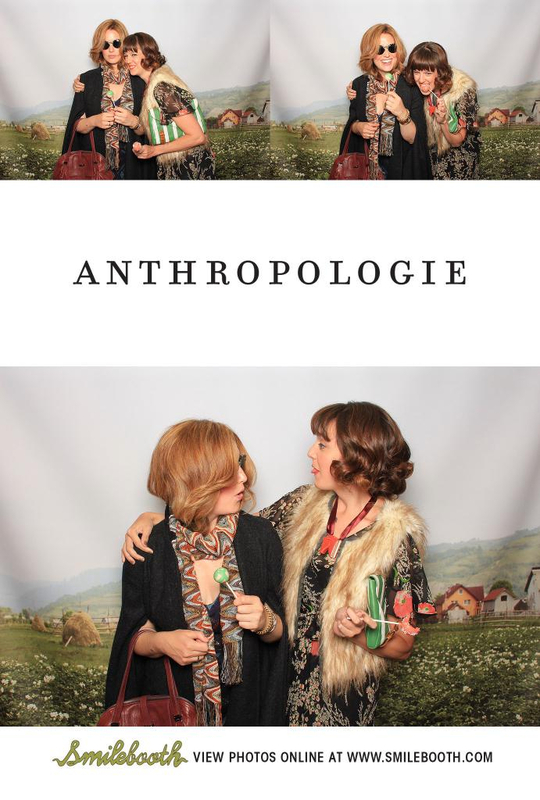 N'awww, your Smilebooth photos are appropriately named. You girls made me do just that! When did you go blonde? You girls having so much fun!! How great I love your hair! Cheer up! The Recession's almost over!